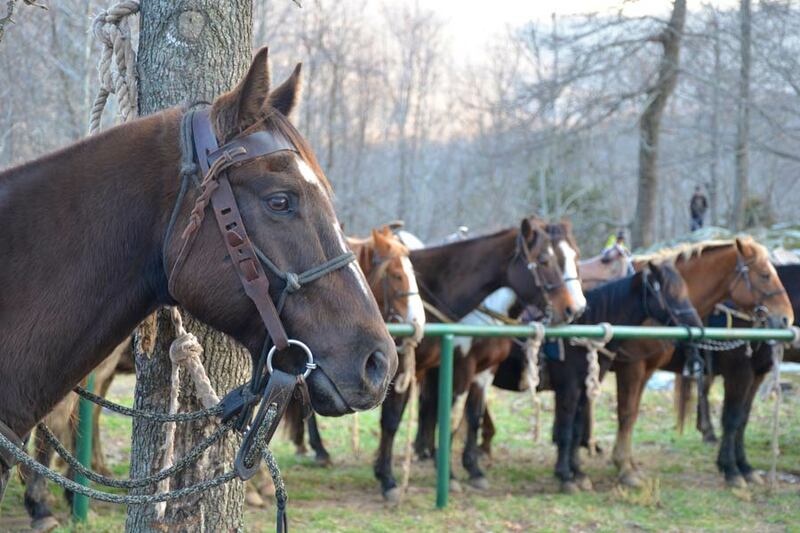 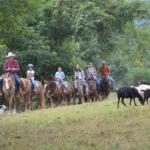 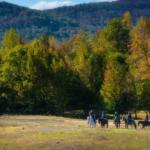 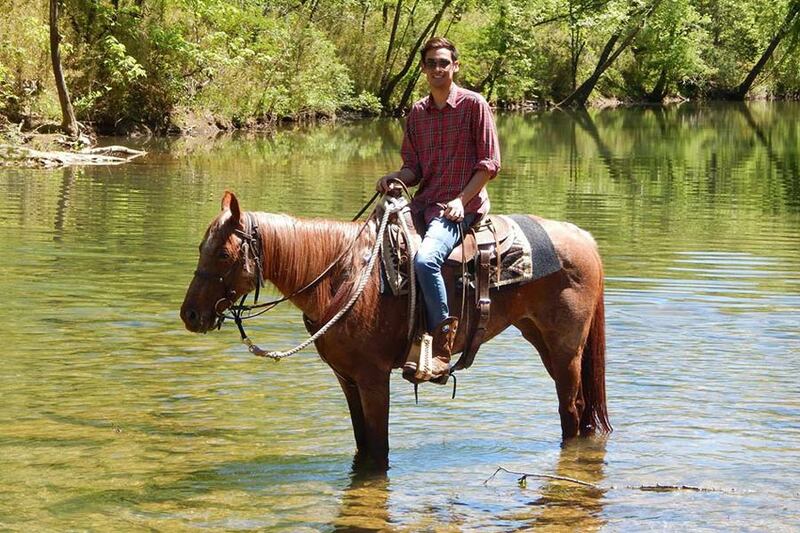 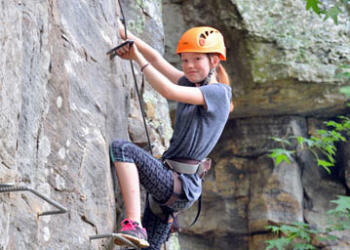 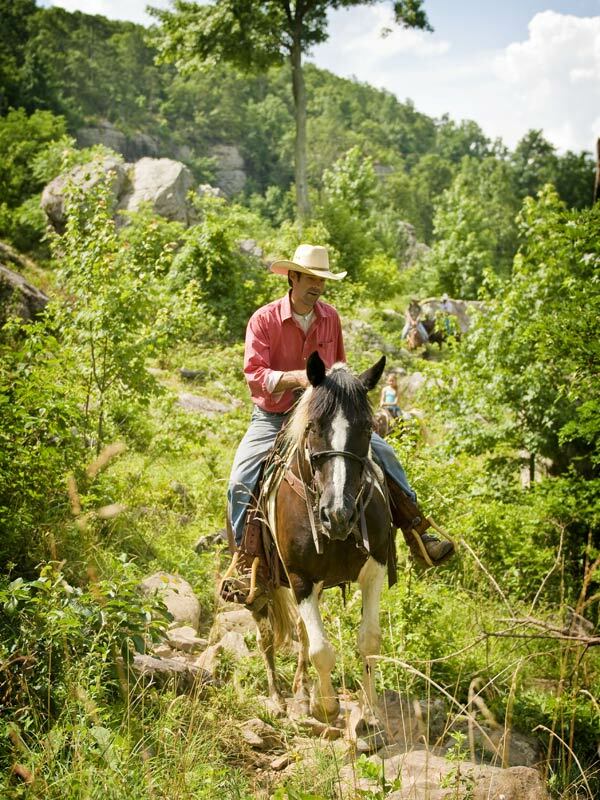 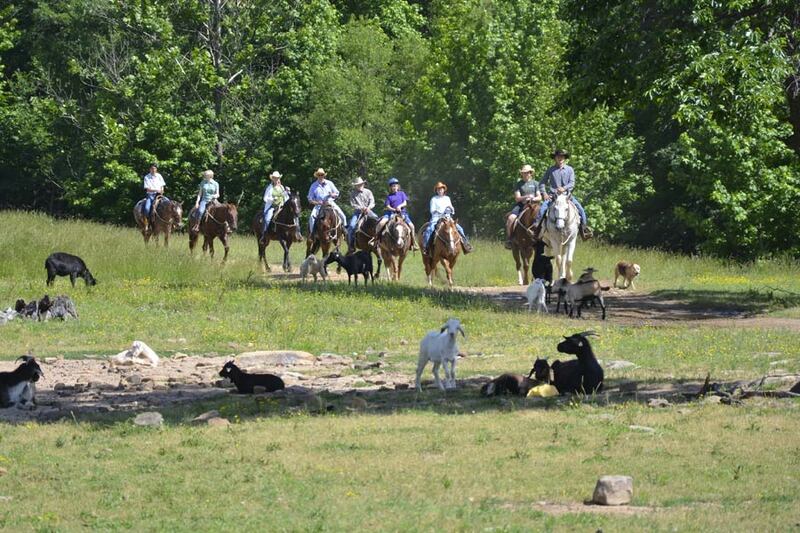 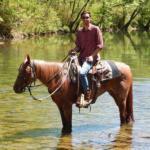 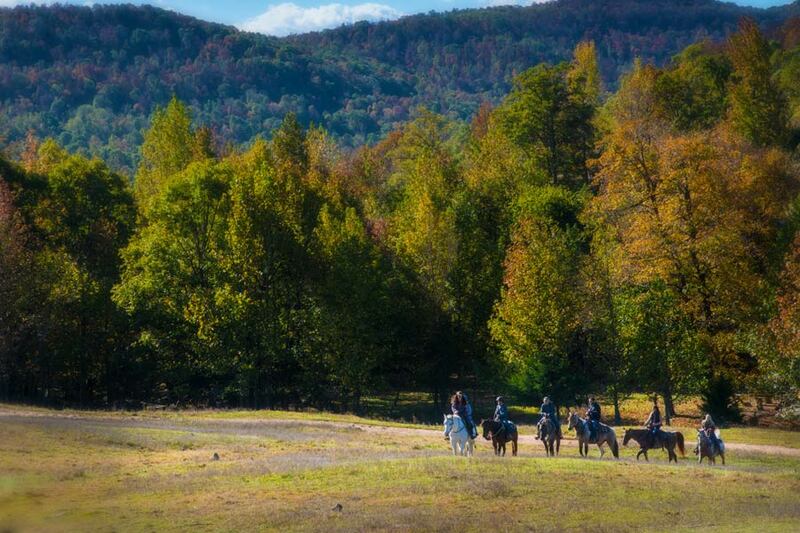 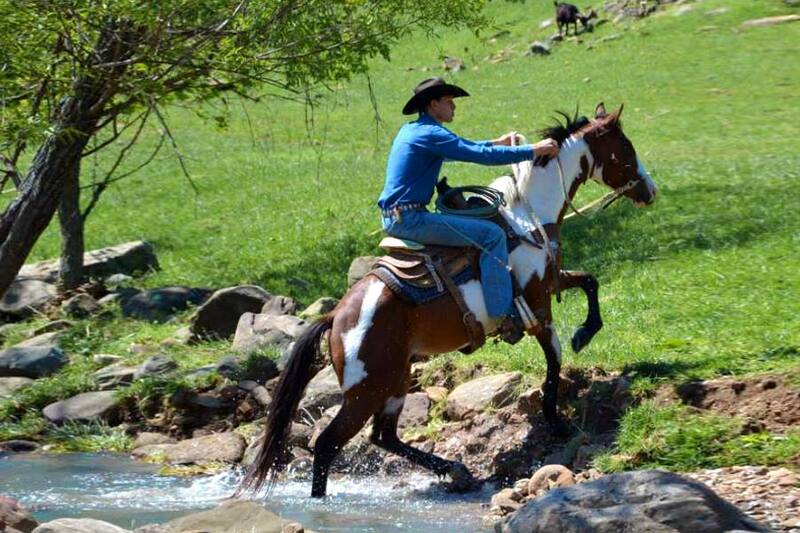 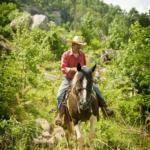 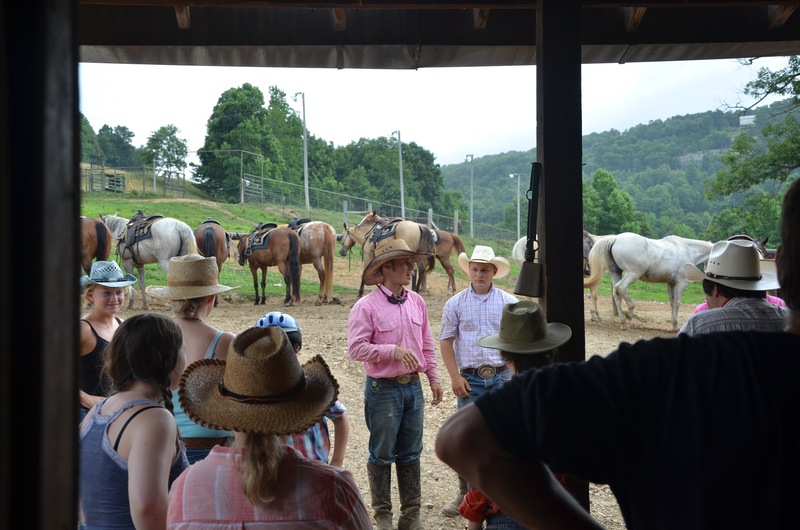 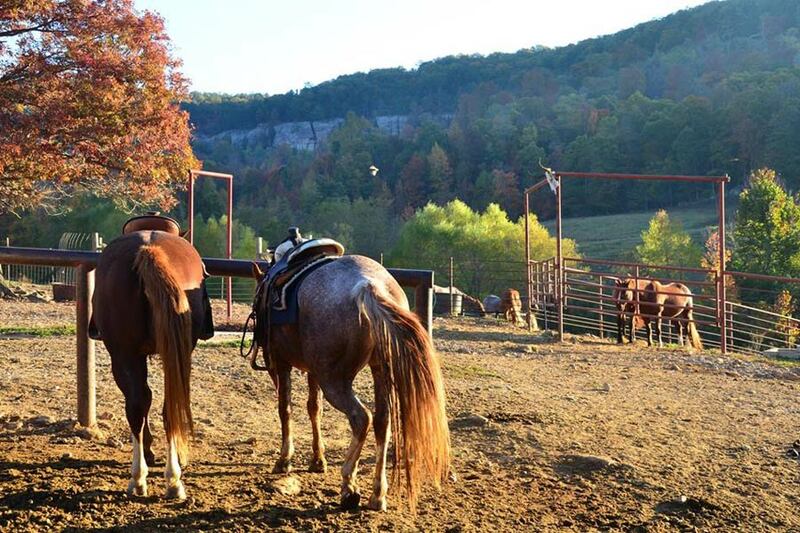 Explore some of the most amazing horseback riding in Arkansas at Horseshoe Canyon Ranch. 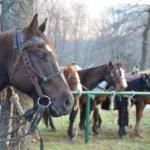 Typically there are two rides a day- morning and afternoon. 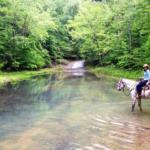 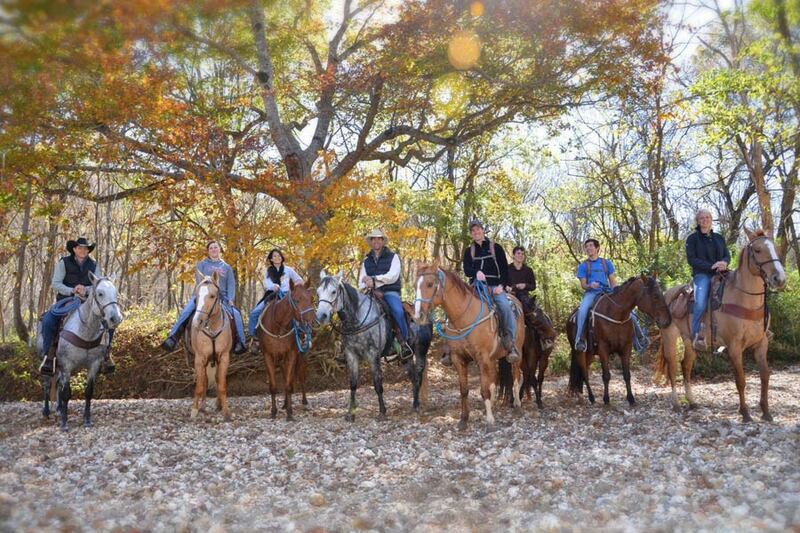 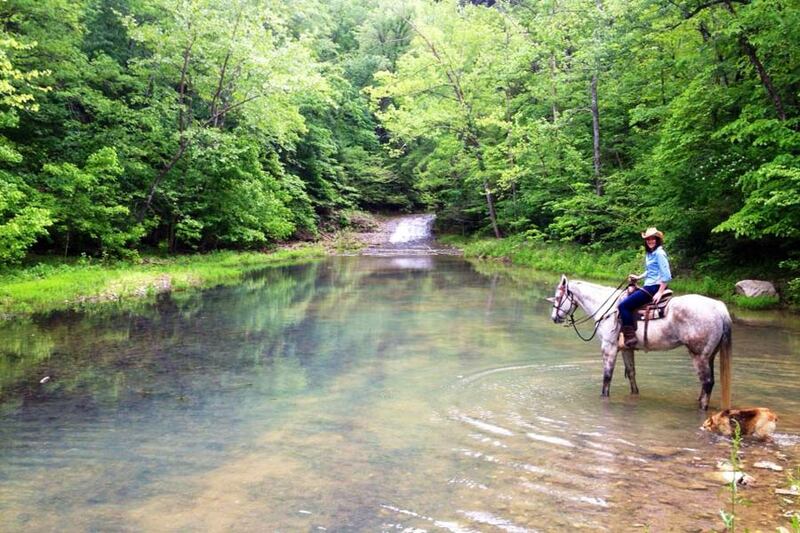 Our scenic trail rides take you through some of the prettiest country in the Ozarks. 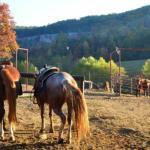 You will ride through meadows, hardwoods, and past massive sandstone rock formation and bluffs. 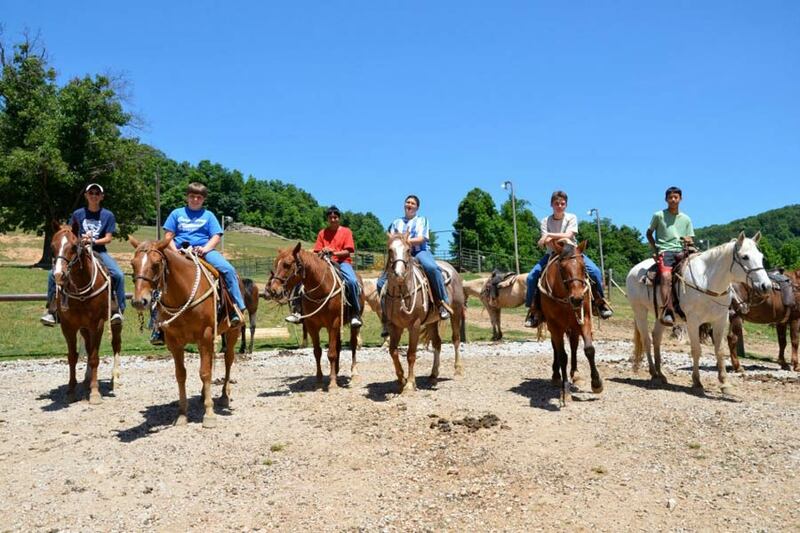 Additionally, there are rides to the breakfast cookout and to the steak fry on sat night. 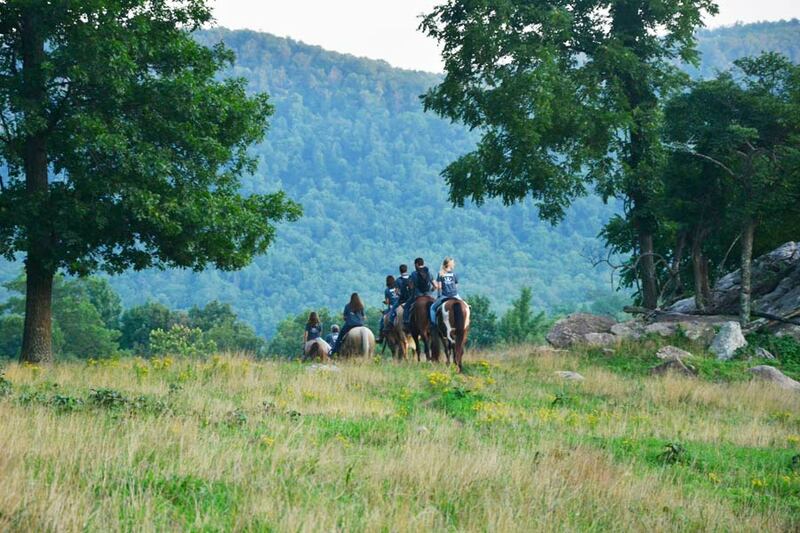 There is an adult only ride at twilight one night as well. 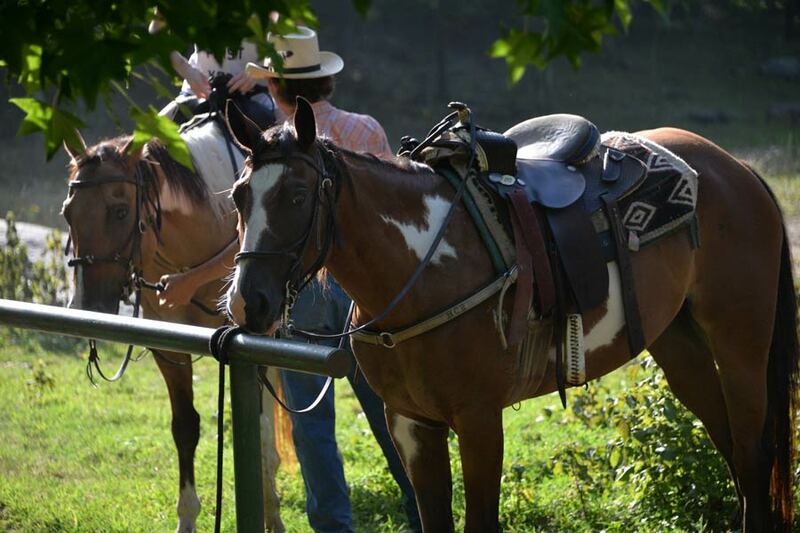 Our head wrangler will select one of our seasoned trail horses for you based on your ability and past horseback riding experience so please be accurate regarding your height, weight and riding ability. 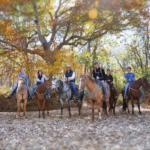 If we make a good match you will have your same horse for the duration of your stay. 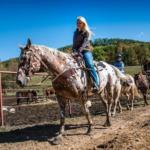 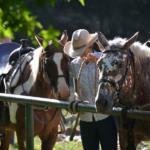 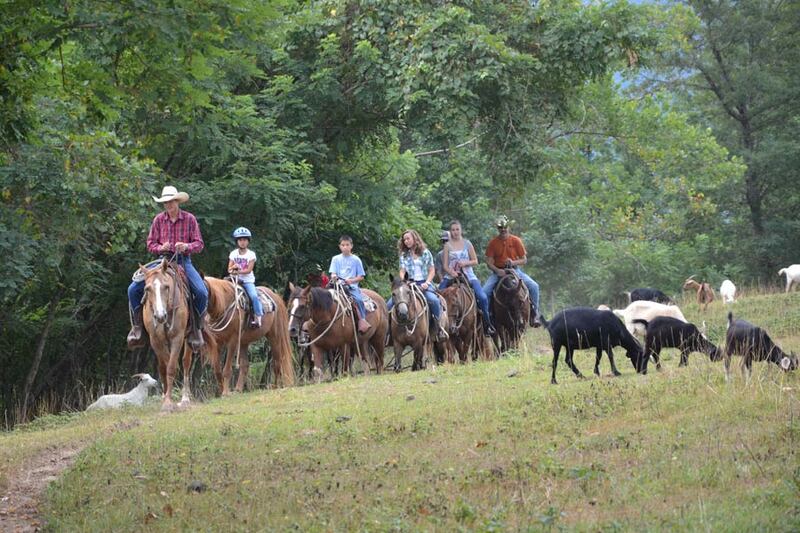 All of our dude ranch trail rides are guided and single file for the safety of the rider and horse. 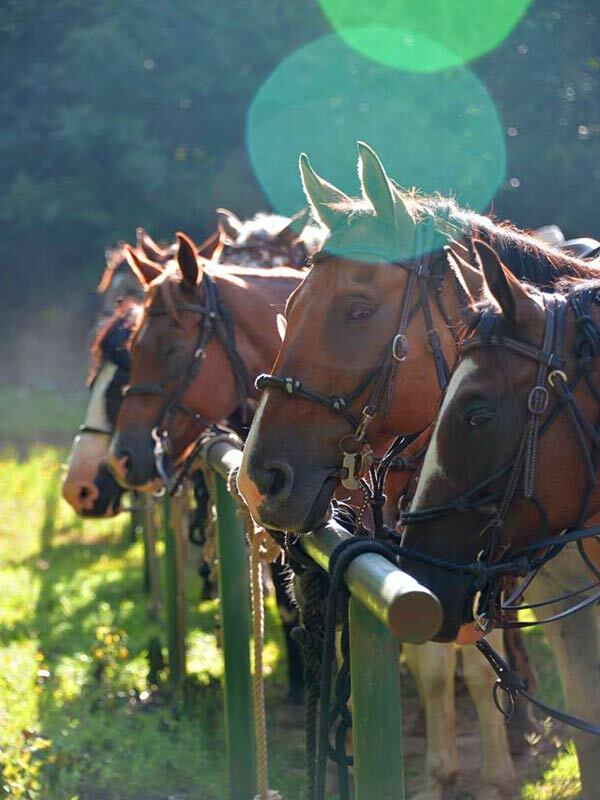 If you are a beginner there is no need to worry. 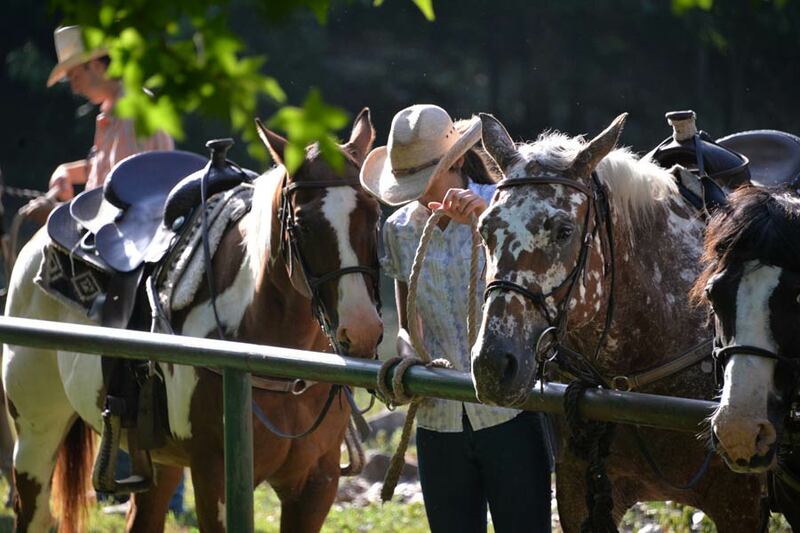 Our experienced wranglers will take good care of you. 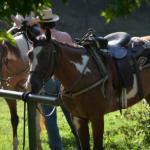 You should leave knowing more about horses and riding after your vacation is done. 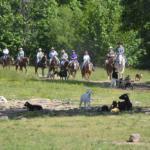 Qualified riders may trot and lope with their wrangler in appropriate areas on certain days. 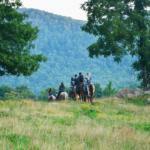 Also for the more experienced or adventurous rider we offer trails such as Bear Bait, Bermuda Triangle and Crack House Alley – which are fun, rugged and challenging. 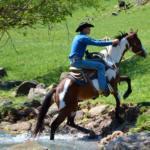 Arena rides are offered throughout the week for instruction or for a faster paced ride in a controlled environment. We have helmets for anyone who wishes to wear one. 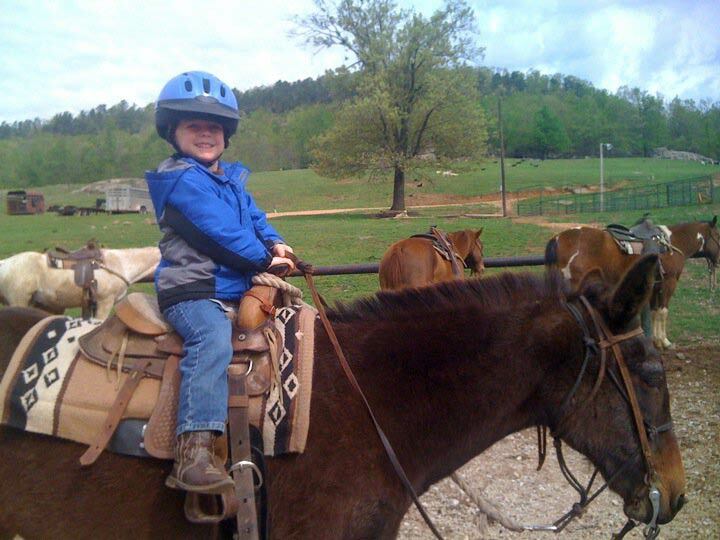 Children 12 years of age and younger are required to wear helmets for all rides. 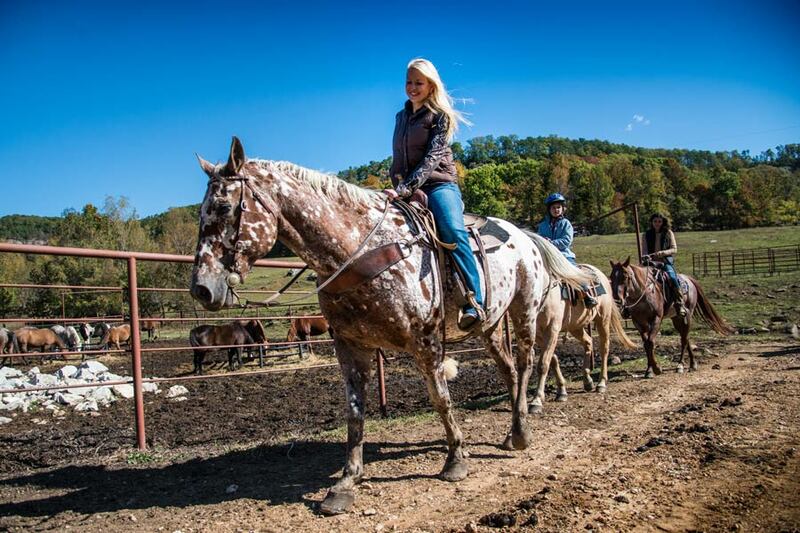 Riders must be at least 6 years old. 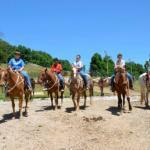 Pony leads are available for cowboys and cowgirls 3-5 years in our children's program.